The Mission of late has been gentrified with up and coming professionals and more trendy retail and dining spots moving in, and with Latino Americans making it home and adding Hispanic neighborhood flavors. Yet the homes available are few and far between. 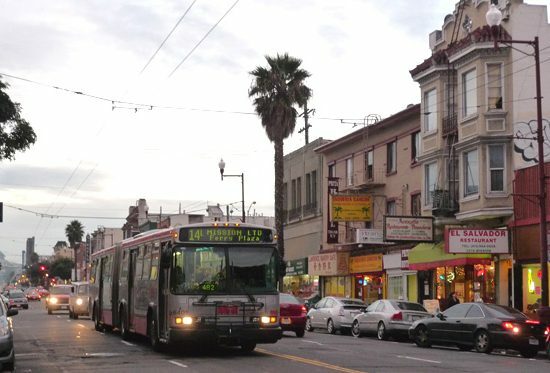 Now, according to a report from bizjournals.com, there are several developers (including nonprofit) set to go forward with some 1,000 home units in the Mission. Many will be market rate priced. 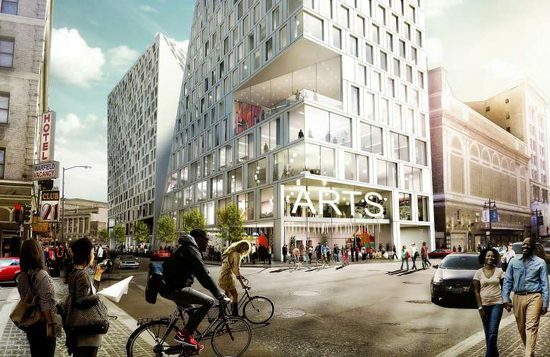 This 1,000 new home figure matches the number of new home units approved in the Tenderloin. 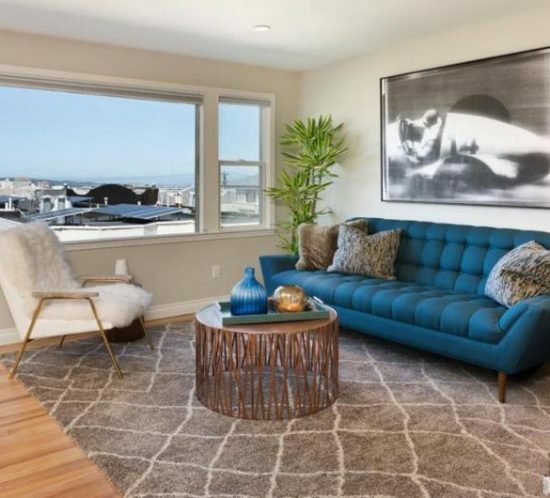 One of the developers is the nonprofit Mission Economic Development Agency which has four construction projects building 500 home units for low income San Franciscans. Check out the full story and slide show here. With its checkered, colorful, even literary history, the Tenderloin remains one of San Francisco’s most interesting neighborhoods. With 80% of its 15,800 apartments locked in at below market rents or under rent control it remains a mecca for renters on lower pay seeking affordability in the city. Yet small store businesses moved away, and crime rose. Now, with the economy rising, apartment developers are approved to start shoveling for new projects, and Tenderloin’s community (normally against such encroachments) are letting them in. And the new units will be market rate. Groups like Shorenstein, Group I, Tidewater Capital and Forge Land Co. are approved for 1,000 new units, at a cost of $500 million. In the bow wave of these developments new class restaurants and bars have come into the area. This fall, Group I will be tearing down a row of empty storefronts at 950 Market and start building a project with 232 hotel rooms and 242 condos. Here we are a day after summer solstice with some blistering hot summer weather a few days behind us, and contemplating all the things to do in our beautiful, bountiful city. The choices in SF are liking going into a foodie buffet—the plates aren’t big enough to stock up everything your eyes are telling you to pile on. 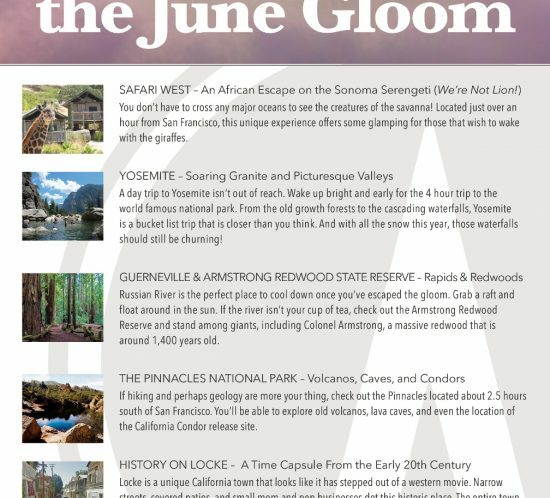 Flavorwire.com has ridden in to the rescue with a cornucopia of 75 things to do this summer in the city—ranging from the elementary pleasurable to the exotically inspiring, perhaps life changing. 18. Celebrate and indulge in summer hot dogs at Frankenart Mart’s Hot Dog Days. 28. Make like a tourist and roll through Fisherman’s Wharf and Pier 39. It’s still fun and still good food. Click here the for full list. Are we heading to be the most expensive city on the planet for garbage rates? Like we already are for most expensive rents in the world. No, SF is not that expensive for garbage pickup. However, next month—July—the collection rate will go up by 14 percent. 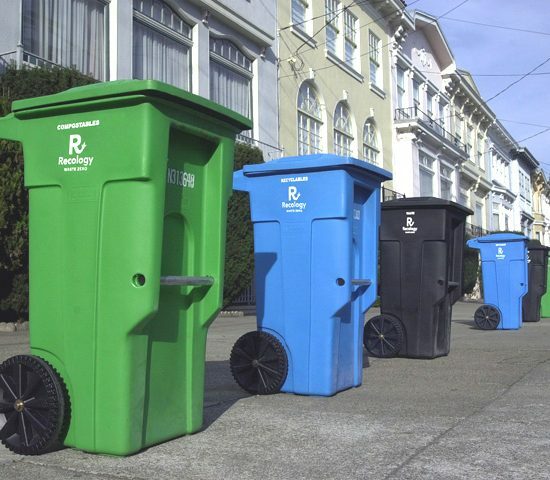 The rate hike is to cover costs for collecting and then processing garbage and the recycling process for recycled items—according to the San Francisco Public Works Department. The hike was recently approved by city officials. How does that translate into monthly bills? An average single family home will have to pony up $40 a month for three bins leased from the city for garbage, recycling and compost. And even with this increase, we will be cheaper than Oakland at $45 a month for the average single family home. This picture perfect Nob Hill abode delivers dazzling views along with the classic San Francisco lifestyle that will make you the envy of your friends. Located on a prime block, the best of the City is just outside your door, from charming streetscapes to a cable car line right on the corner. 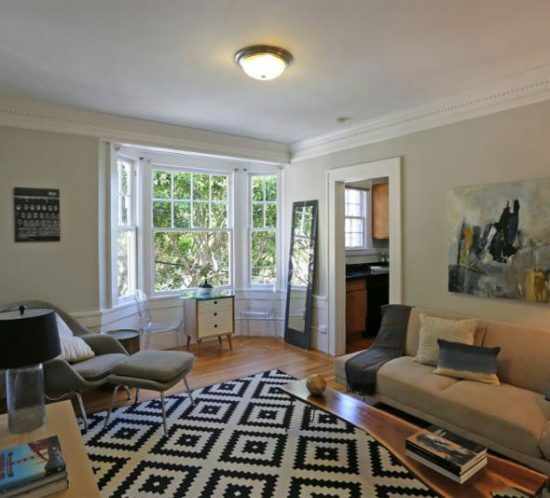 For convenience, the address delivers a 97 WalkScore– Trader Joe’s is three blocks away and a bevy of restaurants, coffee shops, pubs, boutiques and wine bars are all close by. When you’re ready to come home, you’ll find Edwardian architecture augmented with modern conveniences, like an open floor plan, stainless appliances, in-unit washer/dryer and extra storage. Built in 1900, 39 Reed can also be accessed through 1330 Leavenworth, where a lush, gated courtyard serves as the building’s front entrance. Converted to Tenancies-in-Common over ten years ago, the building enjoys a well-run HOA and (best of all) a roof deck perched high above the City, with couches, fire pit and barbecue. A quintessential San Francisco experience awaits you at 1155 Leavenworth, where this vintage studio offers simplified living in an intimate space. The full kitchen will inspire you. A bay window overlooks a classic San Francisco streetscape, and a roomy claw foot tub invites a luxurious soak. Deeded storage is available, along with bicycle parking and a roof top terrace with stunning Golden Gate and Bay views. Situated at the southwest corner of Sacramento and Leavenworth, 1155 Leavenworth’s 97 WalkScore and 100 Transit Score means you can get it all done on foot, from groceries and banking to errands at the pharmacy and hardware store. When you’re ready to play tourist in your home town, the Cable Car is one block away, along with some of the City’s most famous stairway walks and vistas. 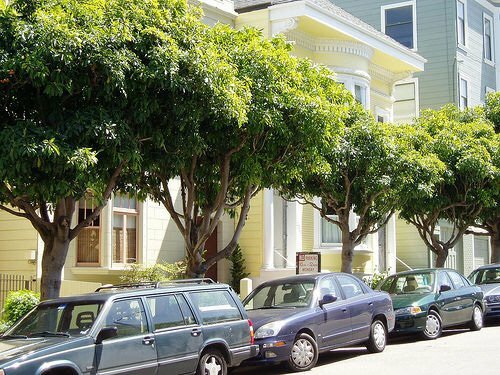 On July 1st 2017 the SF city officialdom is taking back the care of some 125,000 trees, back from city residents who were rather poorly doing the husbandry service as of a 2011 law that made residents responsible for the upkeep of the trees on their property that the city had planted. In 2011, the city was facing a $380 million hole and part of the monetary fill for that was putting the cost of tree care for city-planted trees on personal property on the property owners. Lots of resentment ensued for the up to $1,000 a year pruning cost passed over to the owners. If a tree fell down, they had to pay for the chop and haul services. And overall they weren’t doing a John Muir good job. Last year in November, Proposition E passed—with 78% of San Franciscans voting for it—and the city takes over in a few days. Note that Prop E doesn’t cover the planting of new trees, just the care of existing ones. So, nonprofits like Friends of the Urban Forest are taking up that Johnny Appleseed chore. 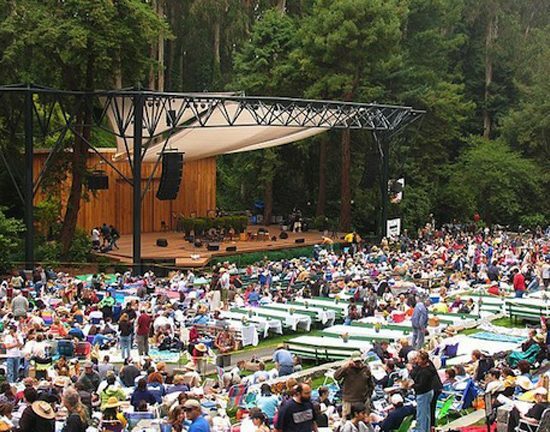 It’s estimated that 19 million pounds of carbon are filtered out of San Francisco’s air by the city’s urban forest. 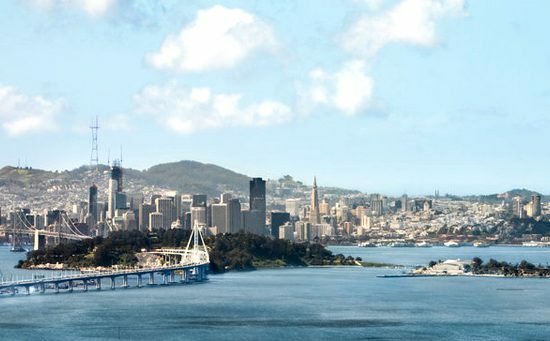 The storied history of Treasure Island is about to enter another chapter: as a major cultural center destination for San Francisco and SF Bay Area tourists. Or, of course, us residents. And, of course, artists. The plan, put together by the San Francisco Arts Commission, is to make Treasure Island into the success that Governors Island in New York has become—an art mecca for artists and visiting art appreciators alike. The vision put forward by the Commission brings in almost $50 million worth of artwork over the next 20 years. The art will be funded over the 20 years by a 1% for art outreach that collects from the island’s new developers. There are plans for apartment buildings, hotels and retail stores providing for 20-25 thousand residents. The art will be shown among the island’s public spaces and parks. First up are three large sculptures now being commissioned through open invitation. Later artworks will include performance and video art, plays, and more sculpture. The project is SF’s largest open space development since Golden Gate Park—built in 1871. Treasure Island (405 acres) is man made, built on top of a natural reef in the SF Bay, and was first created in 1939 to host an international exposition, then served as a naval base with the advent of WWII.